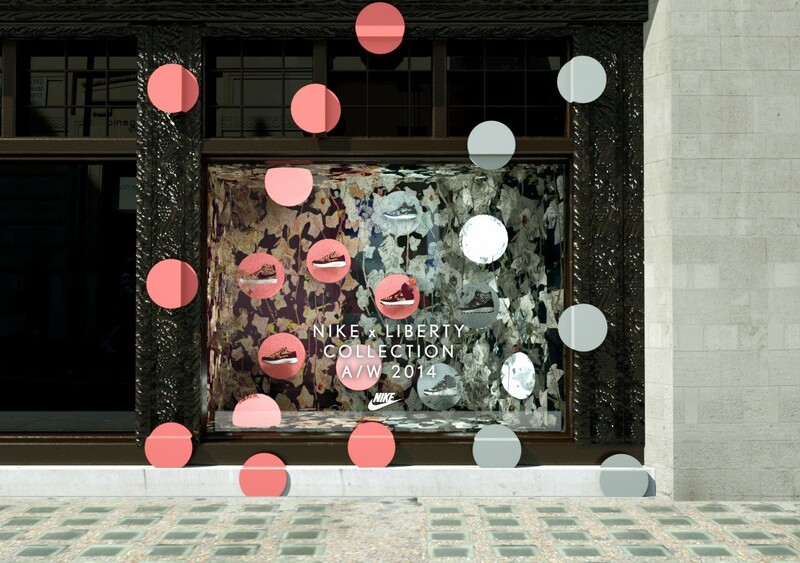 Belmont Ivy Textile design for Liberty and the 10th Nike X Liberty collaboration. The idea of “Natural Capital”, with all wealth ultimately coming from the Earth is a central theme in my work and I have expressed this in the past through a series of botanically inspired sculptures ranging from various flowering plant sculptures made of banknotes featuring different Dictators, to little clumps of snowdrops through to a large scale installation of trees. “Belmont Ivy” is a continuation of this theme, and was inspired by a wall that I walk past on my way to the studio everyday, which is gradually being cloaked in ivy. 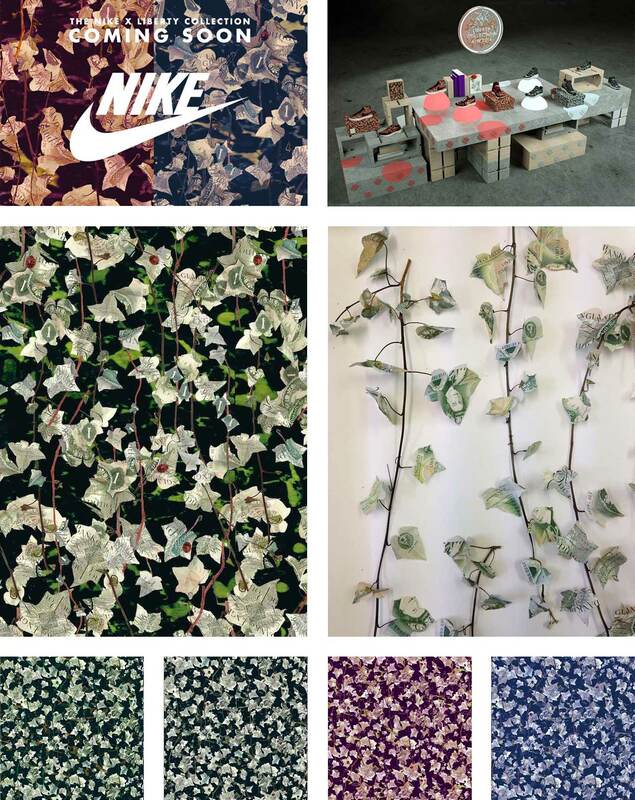 It was first made as a sculpture using old English banknotes for the leaves of the plant, before being photographed and then worked digitally into the final textile design. Many of my plant sculptures incorporate insects as an essential element and here I added some ladybirds that I found.